This post marks the end of September's book club read of The Screwtape Letters and marks the beginning of the discussion. If you read along this month and wrote up a post detailing your thoughts, this is the post to leave a comment on, sharing the link to your post. If you don't have a blog and want to chime in on the conversation, please feel free to do so in the comment section below. 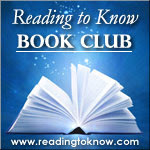 Barbara from Stray Thoughts selected this book for the group to read and wrote a blog post sharing her thoughts on this book. You can read her full review over at Stray Thoughts. Here is a portion to kick things off. Do note that if you have a link of your own to share, please do so here. Lewis thought it might be both “entertaining and useful” to write a series of letters from an older devil to a younger apprentice in his work of tempting and tripping up a new “patient.” The type of approach, presenting “a negative point of view to lift up the positive,” was unusual for Lewis, but he felt it “would give a fresh, even comical perspective on the subject and might attract readers who might not normally think about such things.” Why a comical approach for such a serious subject, one that ended up being very difficult and unpleasant for Lewis to write about?” Partly to “[lure] the ordinary reader into a serious self-knowledge under pretense of being a kind of joke”* (McCusker’s preface) and because “humor involves a sense of proportion and a power of seeing yourself from the outside” (Lewis’s 1961 preface). 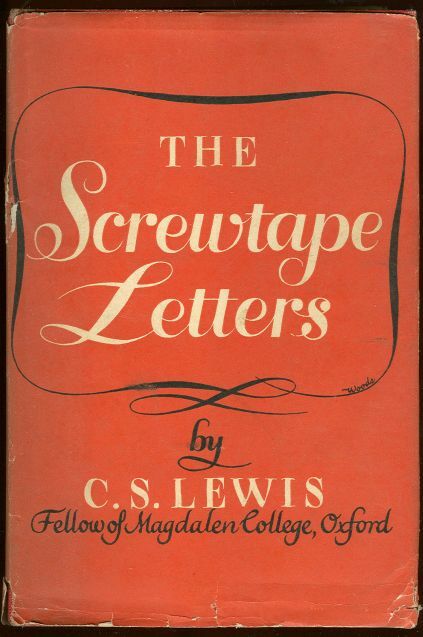 At first it is a little hard to get used to the reverse thinking of the letters: Screwtape refers to God as “the Enemy,” to the devil as “Our Father Below,” to his position in the “Lowerachy” of hell, etc. It takes frequent mental adjustments throughout the book, and I can see at least partly how it could seem so oppressive for Lewis to try to express what a devil’s thoughts might be. To read further CLICK HERE. Thanks, Barbara, for hosting this month! Looking forward to hearing from others who read this title along with us this month OR at any time previously. Feel free to share your opinions with us! I really enjoyed finally reading this book after hearing so much about it. There is much to chew on in it. Here's the review I posted on it.